I’m really excited about this recipe. Chia pudding is very quickly becoming a favourite breakfast dish of mine, and I just love experimenting with new flavours and different ways to make it. 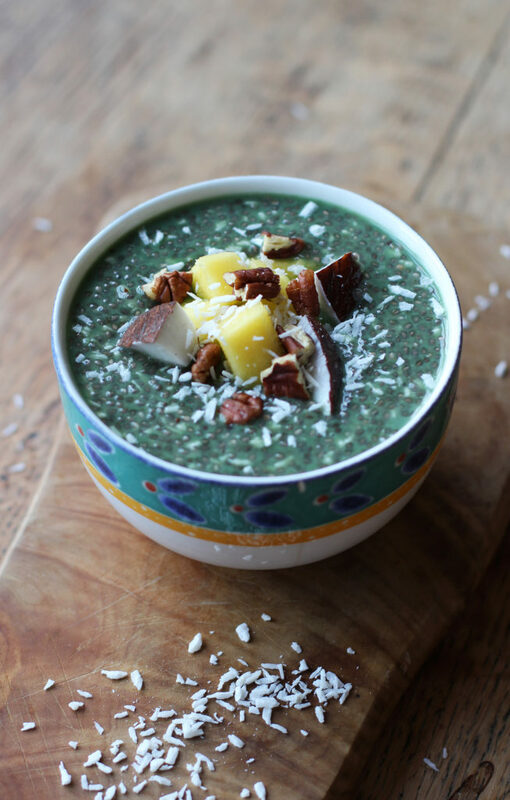 For this recipe, I collaborated with Real Food Source, using a variety of their different ingredients to create a new, delicious, version of chia pudding. I love Real Food Source as they stock literally every ingredient that I use in the kitchen. Every product they sell is available in a variety of different sizes (great for when you need to buy in bulk, like me), and are always of the best quality. 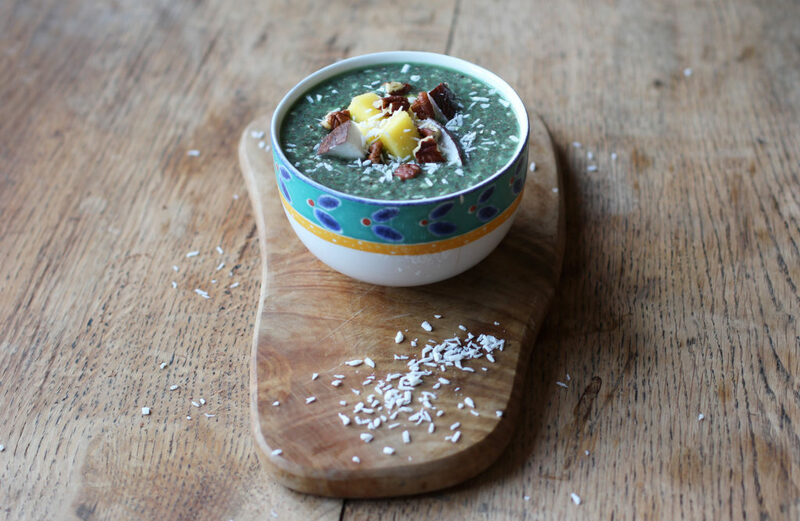 For this recipe, I went for a ‘superfood’ twist adding a maca powder and greens powder. I then combined the chia with some rice milk, desiccated coconut and maple syrup for sweetness. I simply mixed everything together in a bowl, and left it overnight ready to eat for breakfast in the morning! It’s really delicious and tastes great with a variety of different toppings. 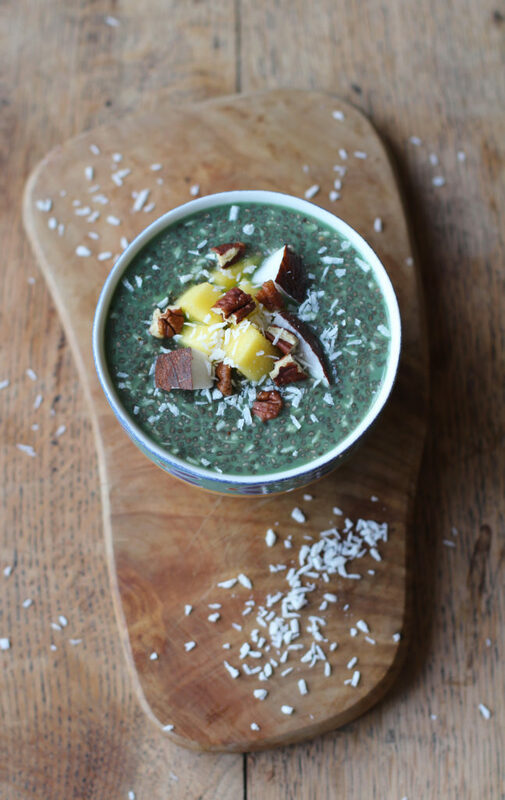 Add the chia seeds, desiccated coconut, superfood powder and maca powder into a bowl and mix together. Then, add the rice milk and maple syrup into the bowl, and stir everything until it is well mixed. Move the bowl into the fridge for the chia pudding to set overnight, or for at least 4 hours. When the chia pudding is ready, remove it from the fridge and pour it into bowls to serve. Add any toppings you want to add – I like to add mango and coconut chunks. I would love this as my 2nd breakfast! Looks super yum and good for you, Harriet. 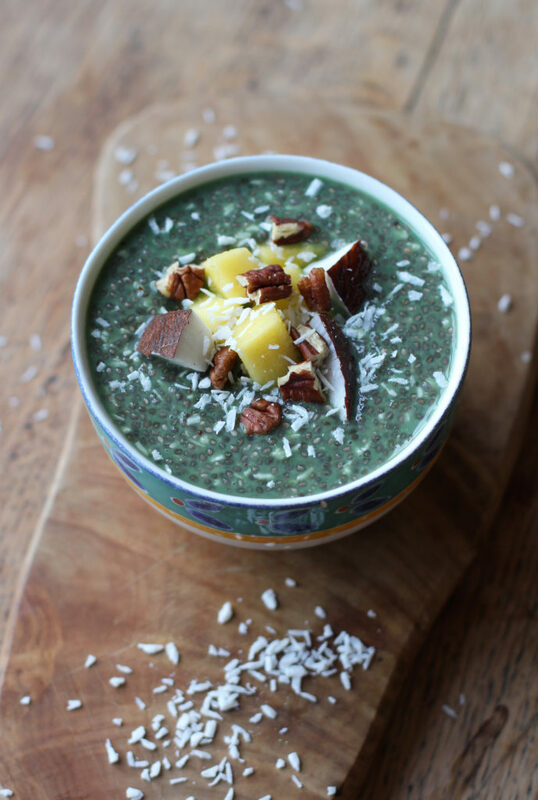 Love this healthy chia pudding! Coconut is the perfect topping for this tasty dish! Looks so yum, love this healthy chia pudding!